Microorganisms can produce lipases with different biochemical characteristics making necessary the screening of new lipase-producing strains for different industrial applications. In this study, 90 microbial strains were screened as potential lipase producers using a sensitive agar plate method with a suitable medium supplemented with Tween 20 and also a liquid culture supplemented with olive oil. The highest cell growth and lipase production for Candida viswanathii were observed in triolein and oleic acid when used as the only pure carbon source. Renewable low-cost triacylglycerols supported the best cell growth, and olive oil was found to be the best inducer for lipase production (19.50 g/L and 58.50 U). The selected conditions for enzyme production were found with yeast extract as nitrogen source and 1.5 % (w/v) olive oil (85.70 U) that resulted in a good cell growth yield (YX/S = 1.234 g/g) and lipase productivity (1.204 U/h) after 72 h of shake-flask cultivation. C. viswanathii lipase presented high hydrolytic activity on esters bonds of triacylglycerols of long-chain, and this strain can be considered an important candidate for future applications in chemical industries. 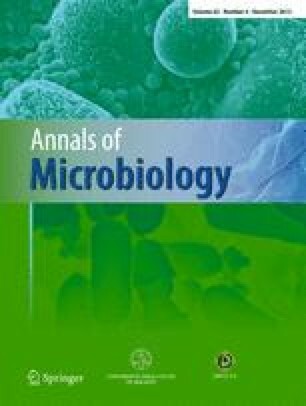 The authors would like to thank the National Council of Technological and Scientific Development (CNPq) for financial support and for the scholarship awarded to the first author; Dr. Paula Benevides de Morais for providing the yeasts of Cerrado environment; Dr. Dejanira de Franceschi de Angelis for providing the Candida viswanathii strain for this study; and Dr. César R. F. Terrasan for his suggestions on the manuscript.